Adjacent to the north side of the Port is the John F. Kennedy Space Center, NASA. Seven miles to the south of the City is Patrick Air Force Base. This strategic Florida location places the City in the center of America's space facilities and immediately adjacent to Port Canaveral, the only deep water port between Fort Lauderdale and Jacksonville. This location also means that the community is an integral part of the retirement-resort-vacation-recreation complex of the north beaches area of Brevard County. The Cape Canaveral Lighthouse is located on the Cape Canaveral Air Force Station and is generally not open for public access. It can be seen up close from the NASA tour bus in passing or from the beach in Cape Canaveral but you will need binoculars. The lighthouse construction was completed in 1847. It was made of brick and 60-feet tall. After many complaints that the light was not sufficient and could not be seen, a "new" lighthouse was built in 1868. Constructed of iron plates and lined with brick, with a new height of 160-feet. This is the same lighthouse in use today. Shoreline erosion threatened the site of the lighthouse in the late 1880's. The lighthouse was moved to it's present location in 1894. It took 18 months to complete the move. The lighthouse is functional today, however, the original fresnel lens was replaced with a modern optic in 1993. 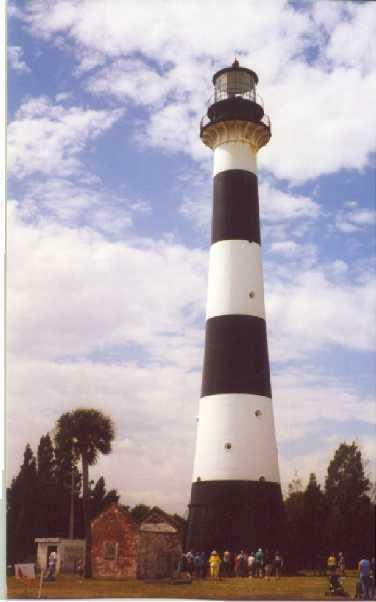 Cape Canaveral's fresnel lens is on display at Ponce DeLeon Inlet Lighthouse & Museum. As early as the 1920s, a group of vacationing retired Orlando journalist was appraising the area that is now the city of Cape Canaveral. They invested more than $150,000 in the beach acreage that now encompasses the area of presidential named streets. The group of investors decided to call their development Journalista in honor of their trade. Journalista is now officially titled Avon-by-the-Sea. A seasonal retreat for inland residents was anticipated to become a resort area much as Cocoa Beach had developed to the south, because of the wooden bridge that connected Merritt Island to the beaches. At the same time, fishermen, their families, a few retirees, and descendants of Captain Mills Burnham, the original official lighthouse keeper of the Cape Canaveral light, resided in the northern part of the present City. They owned acreage named Artesia, which occupied the general area that is now the Port. More details of the lighthouse history and the early families follow in the Cape Canaveral area history. As the nation was ravaged by the Depression of the late 1920s and 1930s, the initial investors, among them the Brossier brothers, and others, defaulted on the vacant land platted as Avon-by-the-Sea, and their portions of the property were lost. However, R.B. Brossier's son, Dickson, returned from World War II and, with his father, regained possessions of much of what is now the Avon area. In order to return to the beach, the Brossier's Orlando home was sold, debts were satisfied and, with a remaining $4,500, young Dickson and his father succeeded in recovering some of the lost Avon real estate. Dickson Brossier, speaking to a Sentinel Star reporter, said in 1958, ". . . . . with $4,500 in those day you could buy a great deal of property in Avon, which then was but a jungle, inhabited by wild animals and mosquitoes." Dickson based his faith in the future of the beach in the belief that a port would be developed and that a direct route would be constructed between Orlando and the beaches. Brossier believed that central Florida beach visitors could thereby reach ". . . . . one R.B., declared that his original ambition as a young man was to build a city at Avon-by-the-Sea, but fate had intervened so that, as an older man of 67 years, his last ambition was to help create a beautiful city to be known as Cape Canaveral. The son, realizing the wisdom of his father's vision and following his own forethought for a community, set aside several areas to be used for the public good; i.e., land for the Canaveral City Park and the Cape Canaveral Volunteer Fire Department. Ultimately, the Brossier vision was fulfilled when public interest resulted in formation of a Volunteer Fire Department just prior to the incorporation of the City. It followed that a fire department building was constructed, using volunteer labor and donated building material, propelled by the same civic enthusiasm that was producing the plan to incorporate a new city of town. By 1958 the beach area had grown in population as the Space Program flourished. At that time, the Cocoa Beach city limits were somewhat farther south and an adjacent city could annex an unincorporated area without a vote of the residents. Therefore, property owners were discussion the feasibility of forming a new city or a possible annexation by the City of Cocoa Beach, northward to the Port. Letters were sent to landowners, as far south as the SR 520 Causeway, asking their opinion on this matter. 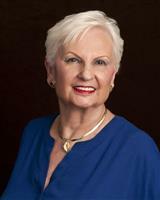 It was felt that there were advantages in becoming a city or town but, because of substantial city debts and land taxes being collected in Cocoa Beach, most Cape Canaveral residents preferred not to become part of the City of Cocoa Beach. Homeowners and business people in the Cape Canaveral area were becoming concerned about their investment in the community and decided the time was right to pursue incorporation to create a city or town of their own.